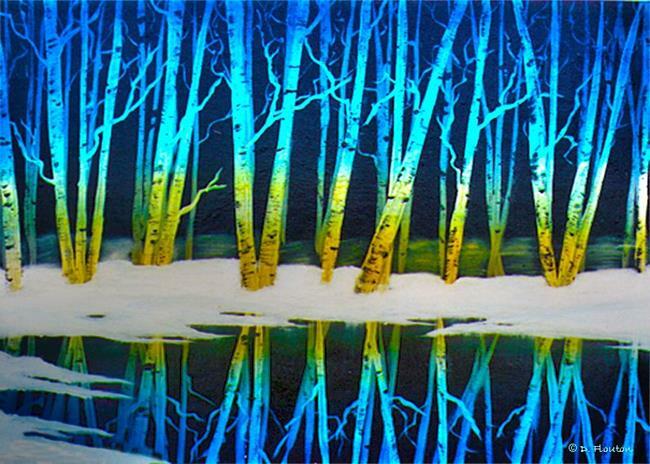 Print of an acrylic painting of birch trees in winter, painted while recovering from effects of Lyme Disease. I have always loved the white birch tree which stands out in any season. I also loved to skate, and skating on smooth black ice at night was always something special I remember doing in my youth. This brings back happy memories.